In today’s bandwidth hungry society, it seems we are all constantly looking for more. We need to stay connected to deliver the level of quality that our customers have come to expect, regardless of what business we are in. For years, we have moved from one technology to the next, trying to achieve these goals. That is why we partnered with local utilities to bring our clients dedicated Gigabit Fiber Internet. 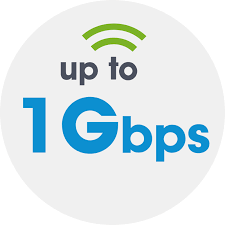 So, whether you’re looking for large amounts of internet bandwidth, connectivity of multiple locations, or a combination of the two, we can deliver.